Losing someone so close to you can be very devastating and heartbroken especially when that someone turns out to be a young star. 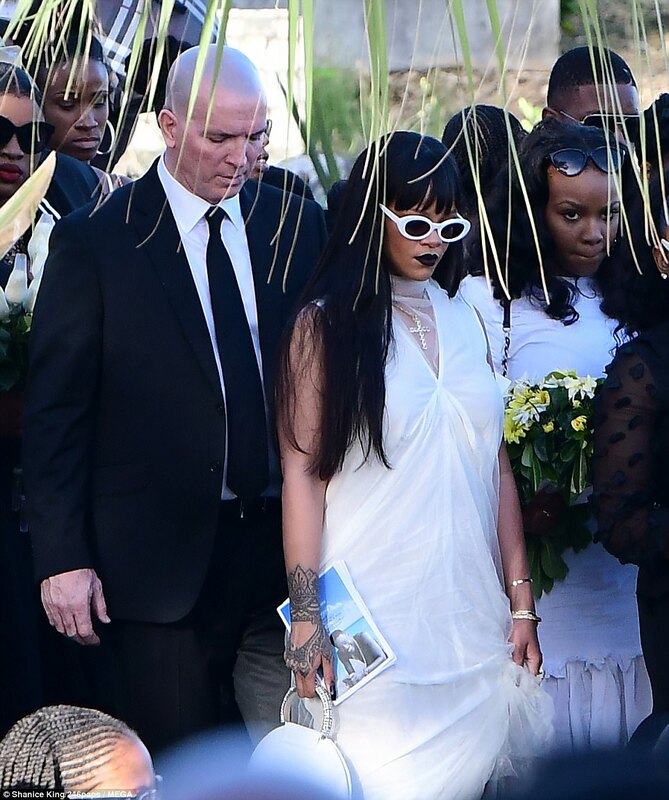 The America singer, Rihanna who lost his little cousin to a senseless act of violence was caught on camera crying profusely as she said her final farewell to her murdered cousin Tavon Alleyne on Tuesday – as she placed flowers on the grave of 21-year-old in Barbados. 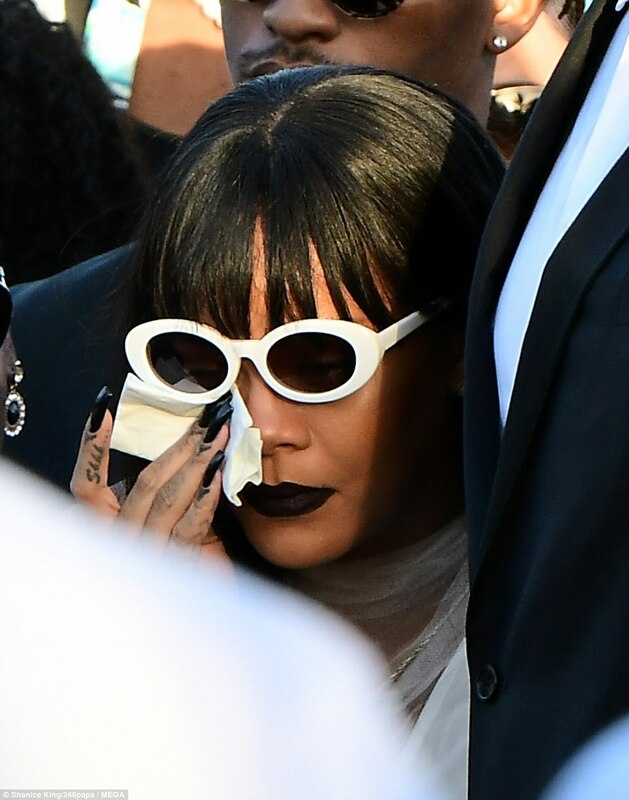 Rih was dressed in head-to-toe white and looked elegant. The singer tried to hide her tears behind shades, but she was noticeably DEVASTATED. She tenderly laid a heart-shaped wreath during his funeral. Tavon was shot and killed in the St Michael’s area the day after Christmas. Police have one suspect in custody. 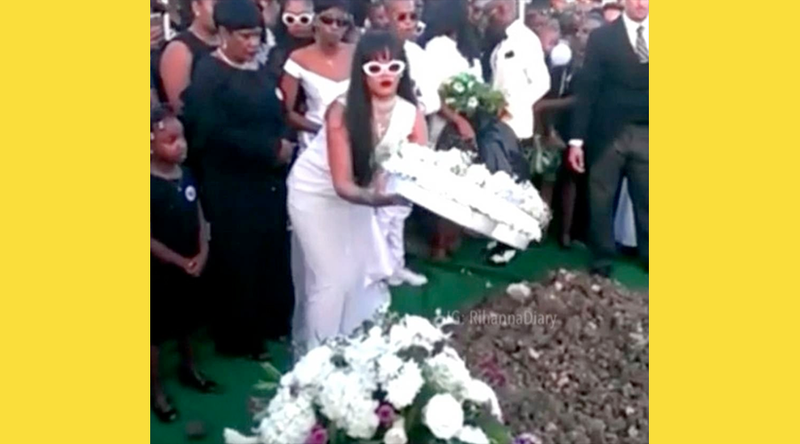 Sharing her devastation on Instagram, she wrote: “Laid to rest! Sleep well buddy… we are at peace knowing you’re in a better place than we are. We will always have a void without you, but we will never stop loving you.